The sight of cobblestone, the sound of accents and the light that shimmers off the Seine in the summer just melts my heart. I loved getting lost in neighborhoods while admiring Haussmann architecture with a good soundtrack pouring through my headphones. And baguettes might as well be currency in Paris. And I think I discovered how and why French women DON’T get fat. You taste a little of everything and walk everywhere. Bracing myself to gain many a pounds from eating many baguettes, I somehow came back unattached from the usual vacation souvenir pounds. Either way, tasting and eating French baguettes may have ruined baguettes for me forever. And don’t get me started on the butter, it’s so delicious. Like, blow your mind delicious (or I’d wipe it all over my face and still eat it because it’s so good delicious). 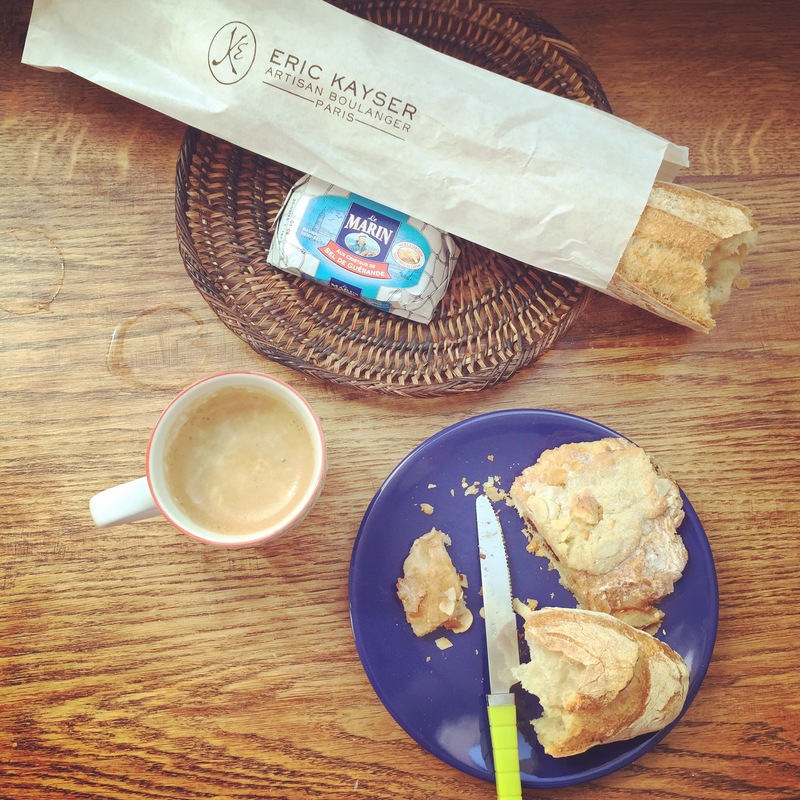 But this post isn’t just about my love affair with French Baguettes and Fleur de Sel salted butter. 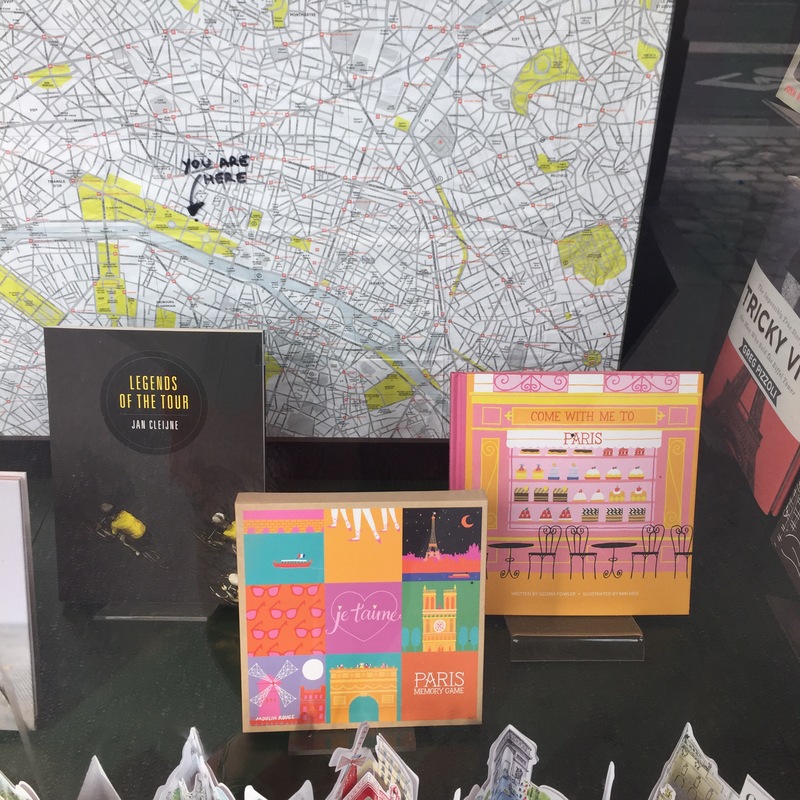 If you’re planning or pondering a trip to Paris, here’s a quick 101 to the good, the bad and the AMAZING parts about Paris before the jump into the city guide of where to go. Paris is situated in the northern center of France. Getting there is quite easy from London (a 2.5 hour train ride from St. Pancras International) and is fairly easy to get to with direct flights from SF or NYC (anywhere from six to 10 hour flight). Charles de Gaulle is the main airport that you will likely fly into if you’re arriving internationally. Located about 30-24 min away from the city edge of Paris, this is probably your best bet for an airport. A cab or Uber from the airport to the center of Paris is around 40-50 Euro. If you’re planning on driving in Paris, take heed. Driving in Paris is CRAZY. I repeat, CRAZY. I did it once and can’t decide whether driving in Paris is more stressful than driving in NYC. Either way, avoid it if you can. The metro can and will get you ANYWHERE you need to go without the need for anxiety meds afterwards. Metro tickets are about 1.10 Euro if you buy a pack of 14 tickets (wise idea). And despite the signs being in French, I actually found that the Paris Metro system was the EASIEST metro to navigate between London, Lyon and Belgium. Walking is also the best way to get around if you can. 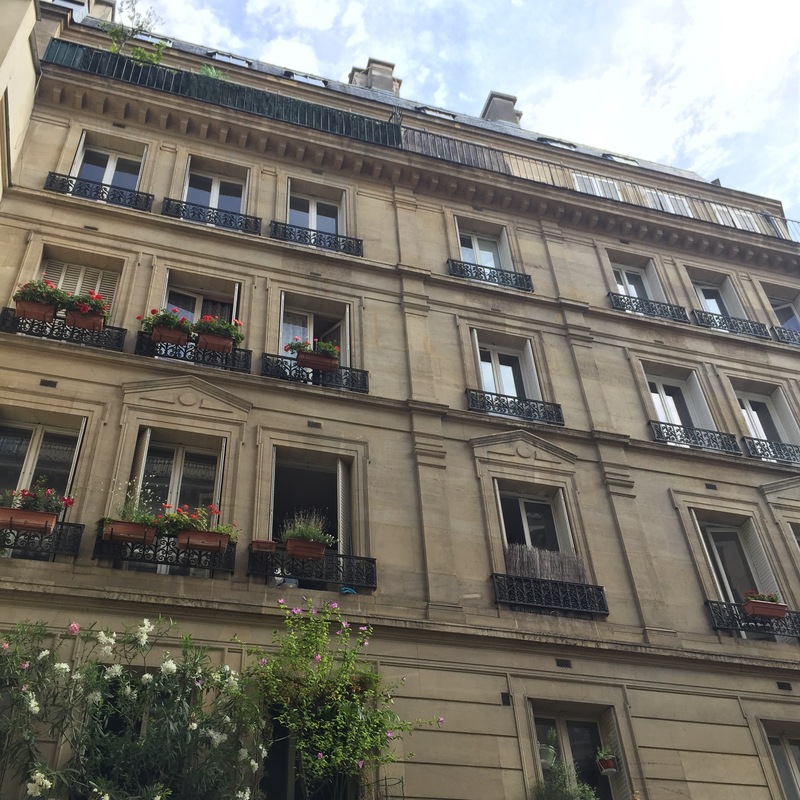 The beauty of Paris’ Haussmann rooftops, balconies and boulevards is best enjoyed on foot. 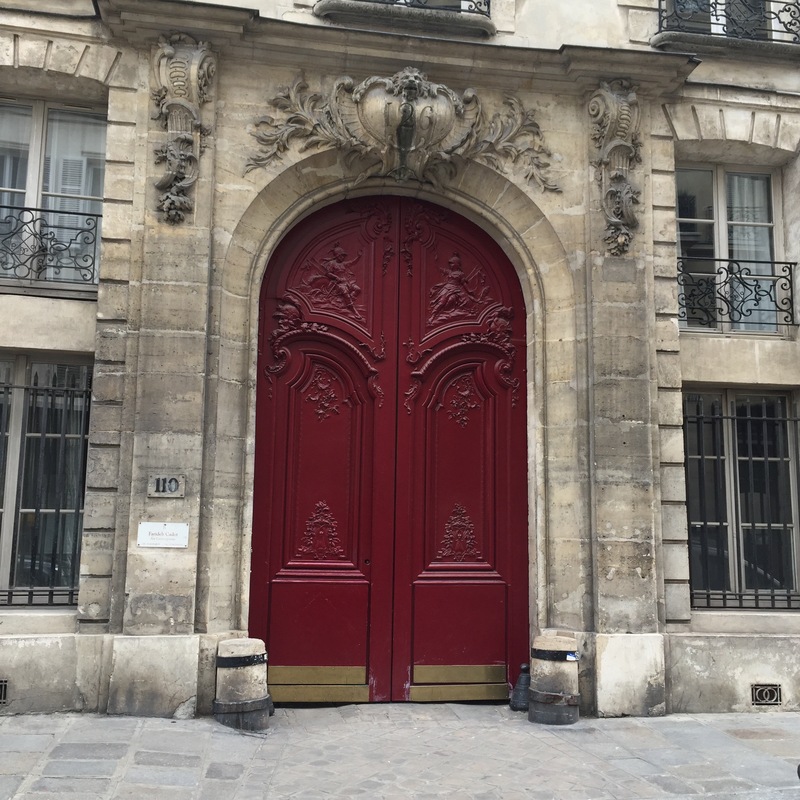 You’ll find yourself enamored by beautifully colored Parisian doors, admiring beautiful flowers draping iron wrought balconies and losing yourself in historic architecture that takes you back 100 years. Walking through Paris is like walking through a real life museum. And the best way to see, smell, taste, touch and take in all of Paris is on foot. Paris is organized by pockets of neighborhoods called Arrondissements, numbered in a clockwise formation from the center of the city and outward. The magic of Paris is swirled around the heart of Paris or the Ile de la Cite (the center island enrobed by the Seine). You will find each Arr numbered (e.g. 1st Arr., 2nd Arr) and when in doubt, street signs are labeled and indicate which Arr you are in. But the magic of the Arrondissements is that each neighborhood hails its own character, its own personality and own charm. You can spend an ENTIRE DAY within one Arrondissement if you wanted to and depending on which Arr you visit, you can expect to see and experience a different part of Paris each day. And that’s what makes this city so amazing. Layer by layer as you make your day across each Arr, the romance and intrigue of the city starts to reveal itself to you. For the most part, Paris is a safe city to walk around in when you are in the right areas. General common sense applies here (as with any city). Pickpockets – they are everywhere. You’ve got to keep your bags close and with you. Pickpockets are generally all over Europe, but this is the oone annoying, non-romantic part of Paris. The nice thing about meeting a local means that you get the insider view into how to identify them. They work in groups and while you think there may only be one, there are actually several who stand around watching gaurd for the cops. Be wary of signing petitions from strangers that come up to you, keep bags close when you’re at monuments or in large crowds. Do also be aware of your belongings when watching street performances. I either kept a larger bag that stayed under my arm or a small crossbody that I kept in the front of me. Brasserie – A restaurant that usually sames the same fare at all times of the day with a set menu. There will usually be a couple of specials. Usually serves traditional favorites such as steak tartare. Cafe – Open at all hours of the day and evening, you can come to get casual fare (e.g. omelettes) or just a drink (coffee, wine, beer) at any hour of the day. Boulangerie – The baker. The place you come to get all baked breads, loaves and croissants. If you’re looking for pastries, don’t look here. The French are known for creating their own specialized shops and taking on the Atelier approach to specialize in foods. Patisserie – The pastry shop. Where you come for fine sweets, pastries, desserts and deliciousness. Boucherie – The butcher shop. Custom cuts and specialized meats can be purchased here. 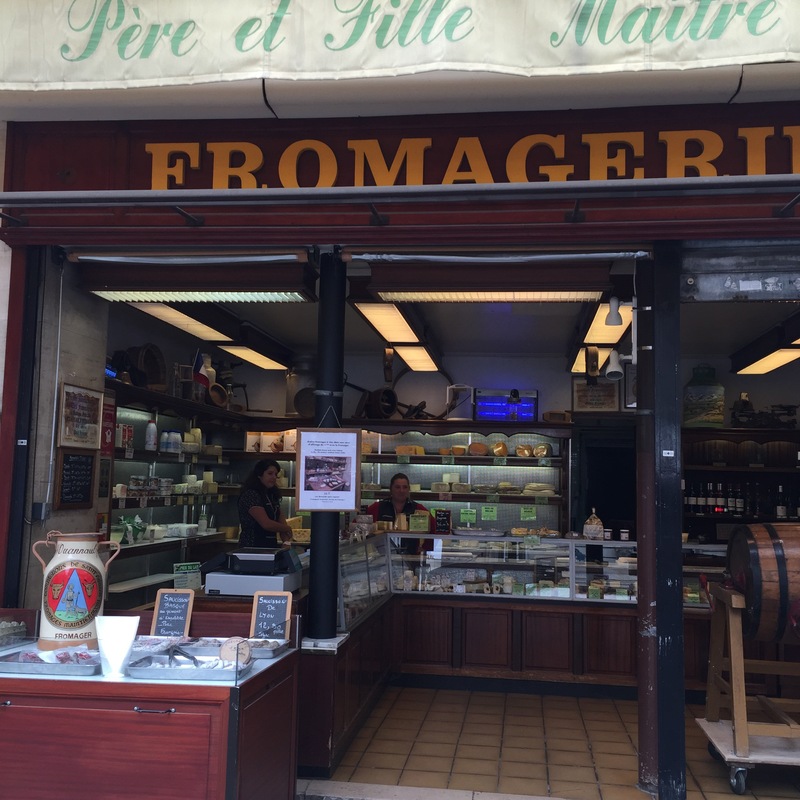 Fromagerie – The cheese shop. Come to seee, taste and smell all the regional delights. Glace – Ice Cream. This took me a while to figure out but this is a common inquiry (for the flavor of the day) at the end of every meal. And during the summer, my favorite question TO ask. Gare – Train station. There are several “Gare” iin Paris. If you’re taking the train anywhere, pay attention to the station you should be leeaving from. These major stations usually take you to other regions in Paris or across Europe. Pont – Bridge. There are many bridges over the Seine. They not only make for great pictures, but also make for great meeting points when meeting up with friends. The oldest bridge is Pont Neuf and usually guarantees one of the best views of the city at night. Cafe Creme – If you are a latte conoisseur, this is the term for latte in France. Comment-dit on – How do you say? or What is the word for? Ou-est la salle de bain – Where is your restroom? 1. St Germain des Pres – This is one of the moost charming neighborhoods in Paris. Land of the literati, St. Germain has picturesque streets and was known to house and inspire great writers such as Hemingway and Fitzgerald. Yes, the neighborhood has gotten a bit more touristy, however, there’s still a lot of charm if you want to explore a neighborhood filled with art, galleries, book shops and of course, great food. 2. 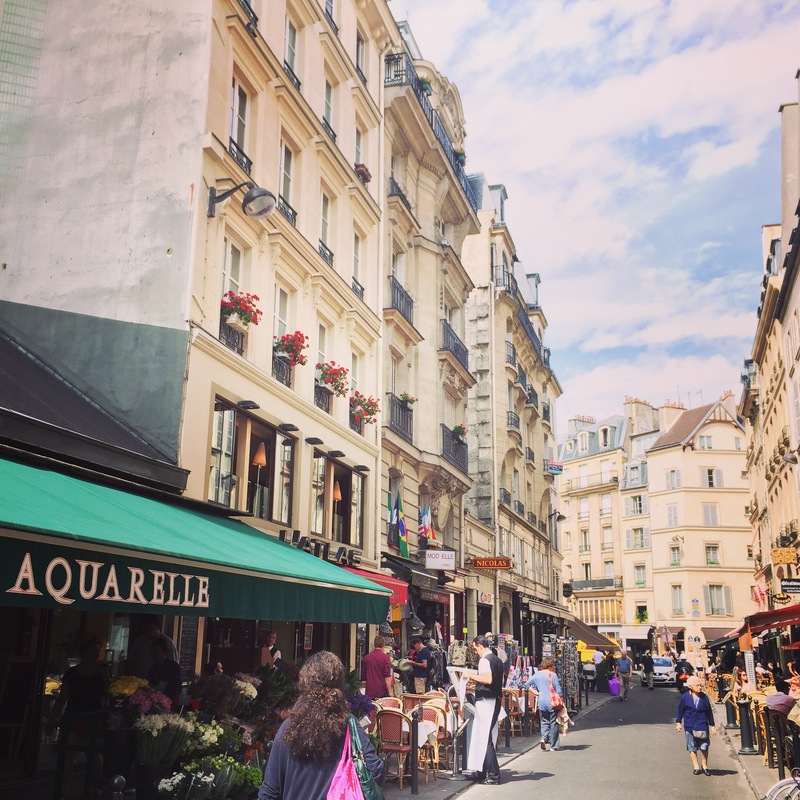 Le Marais – Also becoming more popular with tourists (but not necessarily bad), Le Marais is also known as the LGBT friendly neighborhood in Paris. What’s even more appealing is it’s funky, hipster meets old French charm neighborhood vibe. Great cafes and specialty shops from food to clothing can all be found here. This neighborhood (and there is a pocket between the 3rd and 4th) Apartments apparently run much smaller here, but if you want to explore and eat on foot, you will not be disappointed but alll the energy here. The Foodie scene is big here but even bigger if you stay near the canal and Bastille. 3. The 2nd Arr – I think the 2nd is the secret to having great access to everything without having to pay as much as the other popular neighborhoods. You may also be more likely to find a more modern building with an elevator as well. Centered near the 1st, 3/4th and 9th, you can get to the Seine within a 10 minute walk and also get over to the Marais or Rue Montreguel in five minutes. 4. The Seventh/Eighth Arr – Polish, Fashion and Luxury. 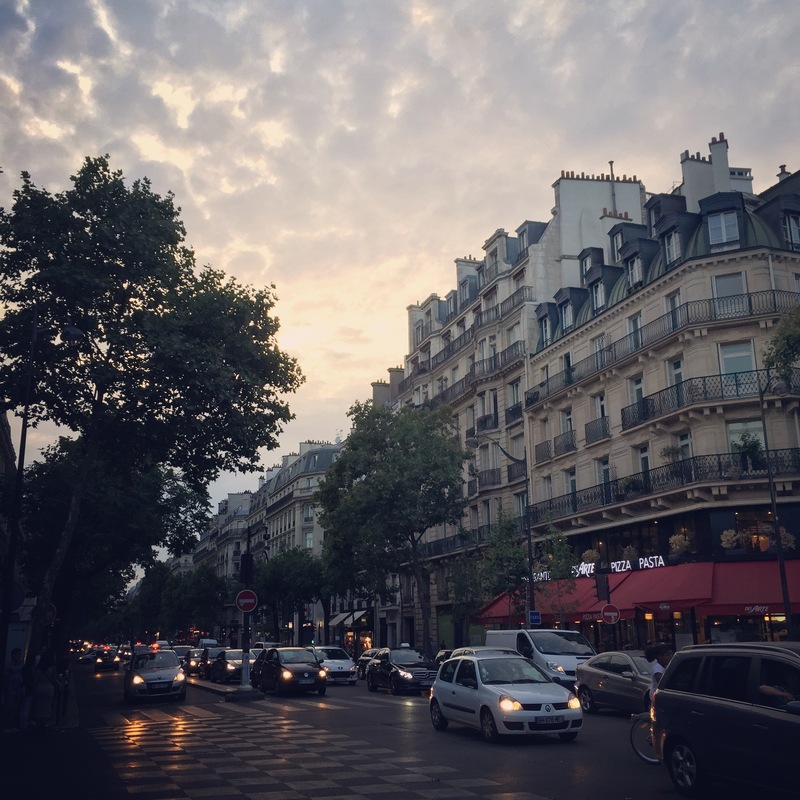 These are some fancy neighborhoods on the left bank with great views of the Eiffel tower and with perfectly manicured neighborhoods and access to the Champs-Elysees. If you want to feel fancy, stay here. 5. The Fifth Arr – Bohemian Charm. Artsy, diverse with many cultures and also home to one of the most famed Bookshops (Shakespeare & Co.), the 5th is a very culturally rich Arr. With old churches and mosques, this Arr is fun to discover. 6. The Tenth & Eleventh – Young, Hip, Up & Coming – This area is usually infiltrated with students but this Arr near the canal is lined with cafes, people watching and the spirit of rebellion in the air. Hip, funky and young, this area reminds me of the cool and funky neighborhoods of Berkeley. Feeling prepped on the basics of Paris? Stay tuned for the rest of the city guide!